A nice blend of percolating beats and synth with spacier 70s jazz funk atmosphere! 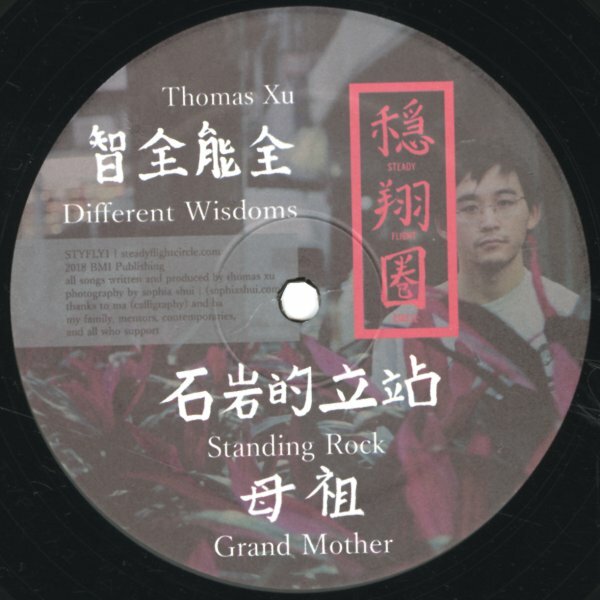 Detroit's Thomas Xu kicks off "Standing Rock" with perhaps the most profoundly funky fusion influenced vibe on this solid 3-track 12-inch, with piano and laidback percussion working well with subtly more modern atmosphere, all of it centered around the jazzy chords. "Grand Mother" has a bit more meditative of a beats-and-synth sound to start, but the atmosphere builds as it goes. "Create Hope" has the spaciest sound of the tracks here, almost later Kraftwerk in approach, but with jazzier influences. © 1996-2019, Dusty Groove, Inc.